Broadway.com is offering an unparalleled view of the best of the New York stage with its newest program, Front Row. 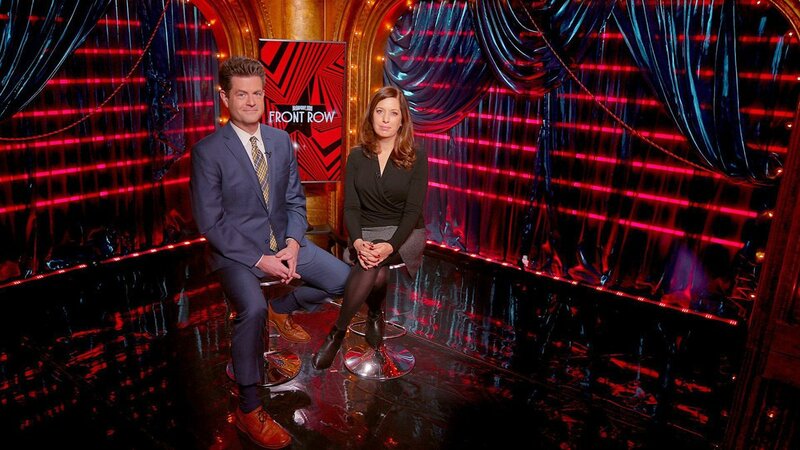 Hosted by founding editors Beth Stevens and Paul Wontorek, Front Row is a bi-weekly magazine show featuring in-depth stories on the most fascinating newsmakers on the theater scene. The premiere episode of Front Row features a look back at the 1998 musical Footloose with original stars Jeremy Kushnier (Head Over Heels) and Jennifer Laura Thompson (Dear Evan Hansen), a dig into the history that inspired the off-Broadway play Days of Rage with playwright Steven Levenson and stars Mike Faist, Tavi Gevinson and Lauren Patten as well as a revealing chat with Tony winner Kelli O’Hara, who talks about her upcoming Broadway turn in Kiss Me, Kate. Broadway.com’s Front Row is directed by Alexander Goyco and produced by Lindsey Sullivan, with Stevens and Wontorek as executive producers. Watch our premiere episode below!